It’s that time of year again when music fans start thinking ahead to next summer’s festivals, and now Download Festival 2019 has revealed its headliners for June 14-16 2019. Taking the Main Stage on the Friday is Def Leppard, who will play their Hysteria album in full, in what will be the band’s only UK appearance of 2019. Next up on the Saturday are Slipknot, who last headlined Download in 2015. Meanwhile, Tool will end the festival on the Sunday in a booking that is thirteen years in the making. Meanwhile, a whole host of other big name acts have been announced for Download 2019. These include Slash featuring Myles Kennedy and The Conspirators, Whitesnake, Rob Zombie, Trivium, Amon Amarth, Carcass, Delain, Die Antwoord, Me First and the Gimme Gimmes, Opeth, Power Trip, Reel Big Fish, Skindred, Starlet, Tesla, The Amity Affliction and Underoath. However, there are many more bands who are yet to be revealed. 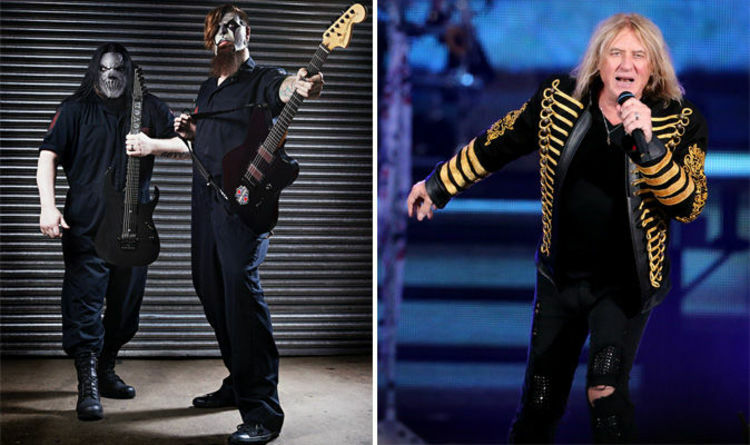 Meanwhile, Download Festival’s Andy Copping added: “We’re incredibly excited to announce three legends as Download 2019 headliners. “It’s not quite been 10,000 Days since we have been able to indulge in one of our favourite alt-rock bands, but after thirteen years I am thrilled to announce Tool are finally making their long-awaited return to Download. “Renowned for being one of the best live bands on the planet due to their one-of-a-kind performances, Slipknot are an incredible addition to the main stage. Tickets are sale on at 2018 prices until Tuesday, November 6 from here. Download Festival 2019 takes place at Donington Park from June 14-16.